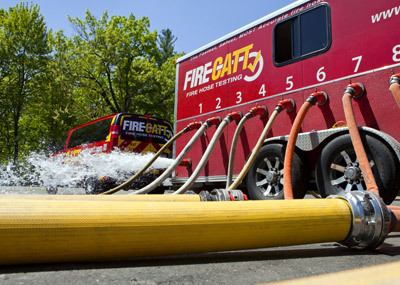 Patented, proven and fire chief approved, FireCatt’s advanced technology has revolutionized fire equipment testing. 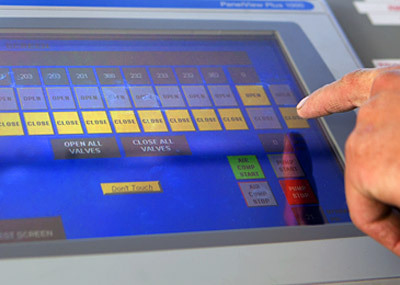 While competitors are still manually turning dials and reading gauges, trained FireCatt technicians are in state-of-the-art Mobile Test Labs using the only computerized, automated and objective hose testing technology in the nation. For you, that translates to the most reliable, safest testing procedures in the industry that produce the most accurate, scientific results designed to meet NFPA standards. Written specifically to meet the standards of NFPA 1962 on every test, FireCatt’s software controls the variable speed pump and the process to ensure accurate, data-driven, valid results are produced for each and every test sequence. FireCatt’s mobile testing laboratories eliminate opportunity for human error and miscalculations by using computers to generate valid, repeatable scientific results. No stopwatches, bouncing needle gauges or risky judgment calls. 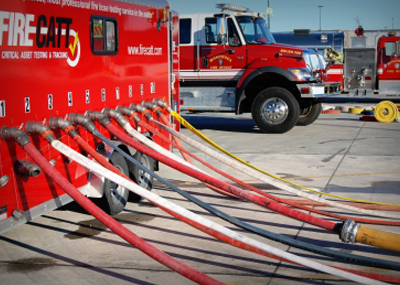 The FireCatt automated pressure release system makes testing safer by eliminating the dangerous practice of firefighters approaching hoses under dangerously high pressure and manually releasing the pressure. 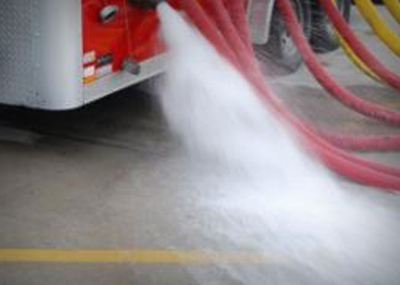 If a hose fails, the computerized system immediately cuts off the water flow in less than a second and eliminates hose whip, thus reducing potential damage and personal injury. 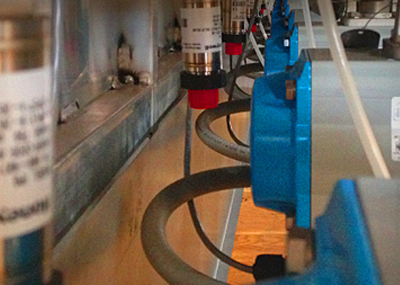 During the entire length of the testing process, digital pressure transducers electronically capture results several times per second, giving you the most accurate, consistent and repeatable readouts possible. These results are monitored by the computer, which ultimately passes or fails hoses tested. FireCatt’s unique barcoding system helps you organize your inventory like never before. Our electronic inventory allows you 24/7 access to your inventory so you can track the age and condition of your hoses over time. 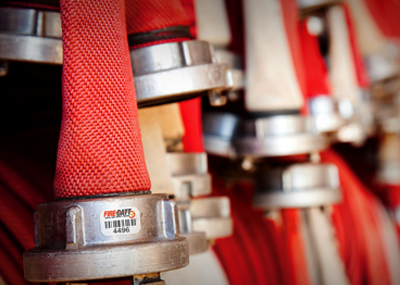 See exactly when every hose was tested and the reasons for all your hose failures. The FireCatt system controls pressurization so as not to exceed 15 psi per second as the NFPA 1962 standard prescribes, allowing for longer life of hoses due to a smooth expansion of the jacket. After reaching pressure, the system stabilizes the pressure for no less than one minute per 100’ of hose per outlet, then boosts the pressure until it has stabilized at the respective test pressure level — holding it at that level for three minutes. If the computer fails any section of the hose, the failed section is removed and the pressurization process begins again. This creates efficiency.